Oof! You were just trying to eat some yummy popcorn while watching your favorite movie. Suddenly that crown pops off! Or your little hockey champ was just about to make the winning goal but a defending hockey stick had different ideas. Blood on the ice! 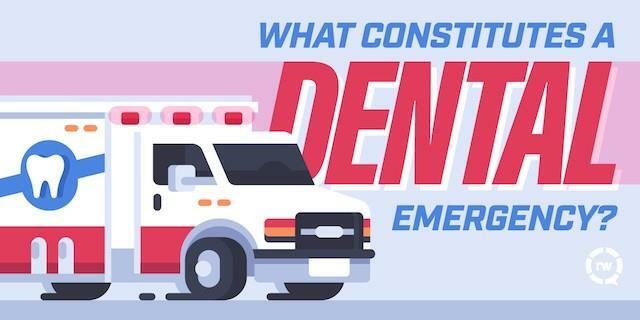 Dental emergencies take on lots of different forms, and require quick thinking to determine the best way to handle them. If you have any of these symptoms, call your dentist right away. Even after-hours or on the weekend, your dentist should have an emergency line (listed on their website or voicemail message). If you cannot reach your dentist, try another in your area or head to an emergency room. If you are unable to find transportation to the emergency room, call 911. *Please note, a dental emergency that requires a visit to your dentist is different than a life-threatening emergency. If the wounded is experiencing unbearable pain, is unconscious, is bleeding profusely, or has difficulty breathing due to other injuries, call 911 immediately. Symptoms that could wait a day or two until your dentist’s regular hours? When on the phone with your dentist, they will likely recommend some measures to take before you come in. This can include taking a pain-relieving drug, applying a cold compress to reduce swelling, and locating any missing fragments of tooth or dental appliances. In some cases, the only way a tooth can be preserved is by following your dentist’s orders and getting seen as soon as possible. When you visit your dentist, you will get either emergency treatment or a treatment plan with a temporary solution to return you back to a non-emergency state. Odds are, your dentist has seen your injury before and will know just what to do or whom to refer you to. We know you can feel silly crying wolf just to be told what you’re experiencing isn’t an emergency. But it is always better to be safe than sorry when it comes to our health. Heck — maybe you’ll even get a sticker or door prize out of your visit. That always makes things better, right?